Royal LePage has a proud heritage of exceeding client expectations dating back to 1913. Our service-based culture and a comprehensive suite of services sets us apart from the competition. 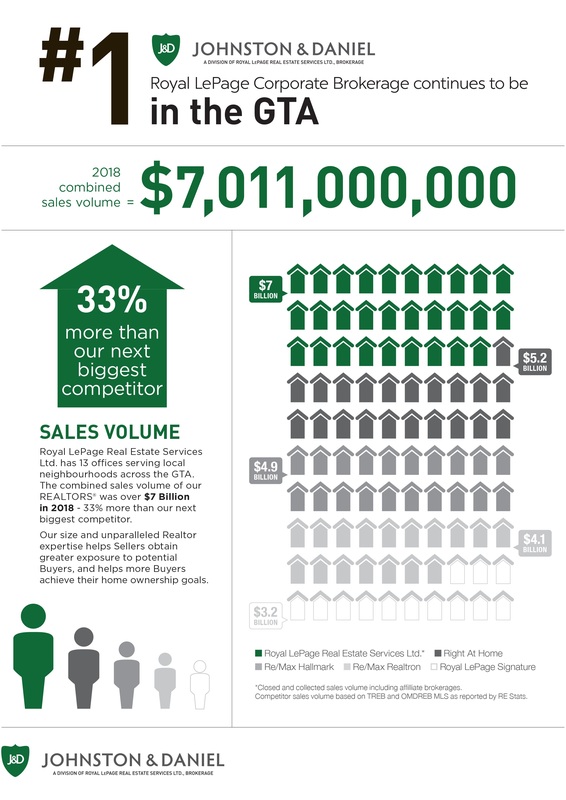 We continue to be the real estate company of choice with more than 17,000 REALTORS® in over 600 locations across the country. Over the years, Johnston & Daniel has served generations of Toronto's most respected families. By offering caring, intuitive service and building long-term relationships with our clients, we've become the most trusted name in Toronto real estate.